Like Laure, fall for one of the pieces in the exclusive collection Mimoki x Laure de Sagazan! Tiny flowers, delicate pistils in cold porcelain, and natural gypsophile. 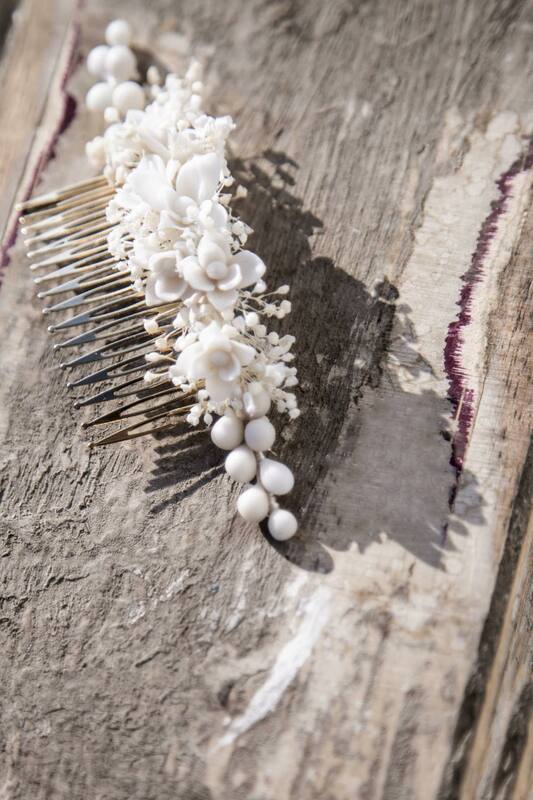 The JUANA DE ARCO comb brings sweetness and romance to any silhouette. Laure is proud to present to you an exclusive with the Madrid brand, Mimoki. Their common love for beautiful pieces and craftsmanship gives birth to seven exceptional pieces in the names of queens and other women of power who have marked their era.